Note Listen to the song for to get the correct rhythm. The A G F#m Em are played really quick, it takes some practice. There were quite a few issues with this song, I have fixed most of them. You can simply play a Bm7 chord instead of the Dmaj9. 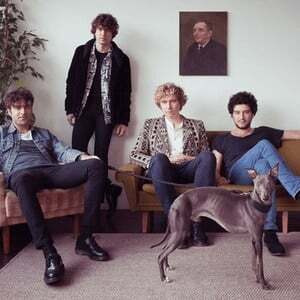 There are two musical groups with the name The Kooks: 1. British indie rock band - formed in Brighton, England, United Kingdom in 2004. The band currently consists of Luke Pritchard (vocals, guitar), Hugh Harris (guitar), Peter Denton (bass) and Nick Millard (drums). Nick is currently filling in for Paul Garred due to a recent arm injury. They have released three studio albums; their 2006 debut Inside In/Inside Out peaked at number two on the UK Albums Chart, and their 2008 follow up Konk reached number one.